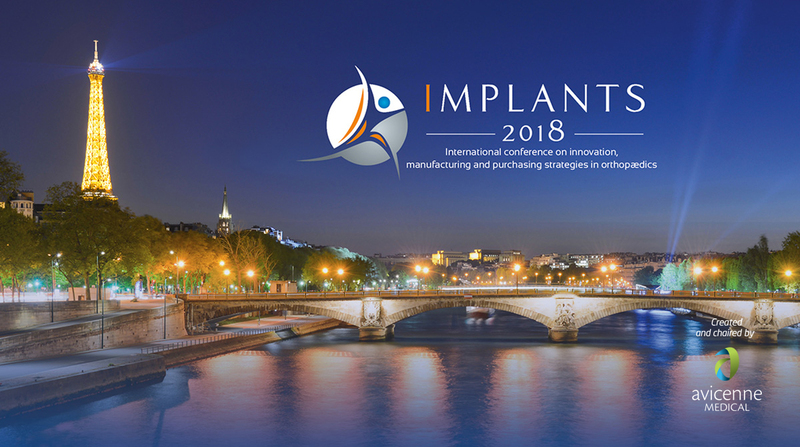 IMPLANTS is the World’s longest running international conference on innovation, manufacturing and purchasing strategies in orthopaedics. 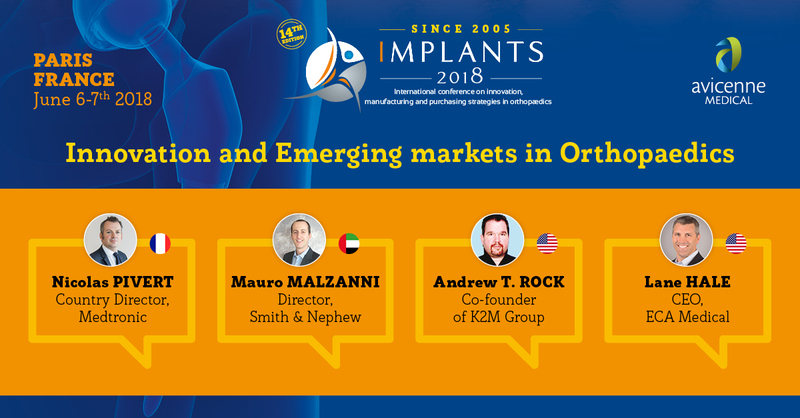 Learn from the most influential orthopaedic companies and CMOs. Network and exchange with top decision makers. 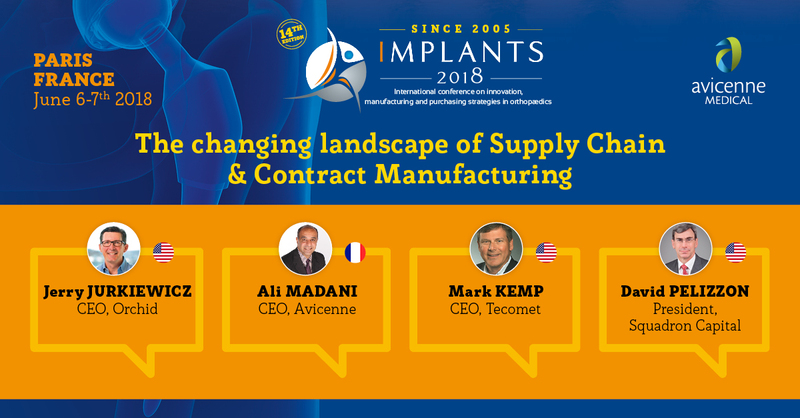 18 international speakers from major companies will present their last news. PRE EVENT WORKSHOP SOLD OUT! 2. Contract Manufacturing markets, trends and player strategies. Ali Madani’s pre workshop is sold out. Last days to register for the conference on Thursday, June 7th! 3D printing pure players : exception or way to go? The impact of the new Medical Devices Regulatory on innovations: How high will the hurdles be? Robotic-assisted surgery in orthopaedics: fact or fad? What it is the expected value of Robotics today and in the future? What is OMNIlife robotic solution bringing to the market? 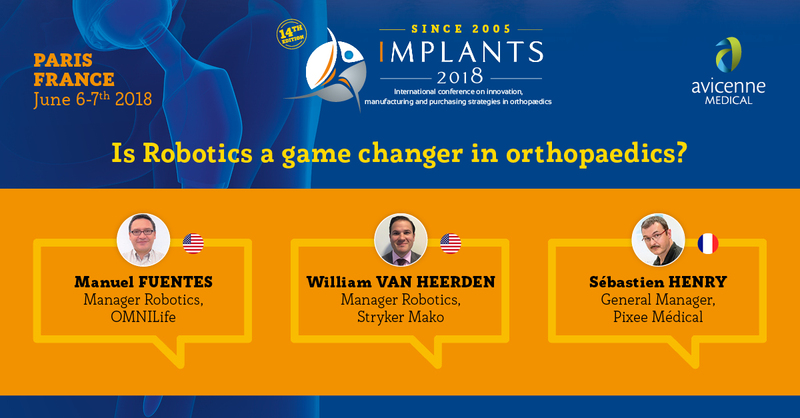 Is robotics a game changer in orthopaedics? What can be considered as genuine innovation in orthopaedic / Spinal surgery today? How to overcome innovation hurdles today? How is the healthcare system shaping future orthopaedic innovations? 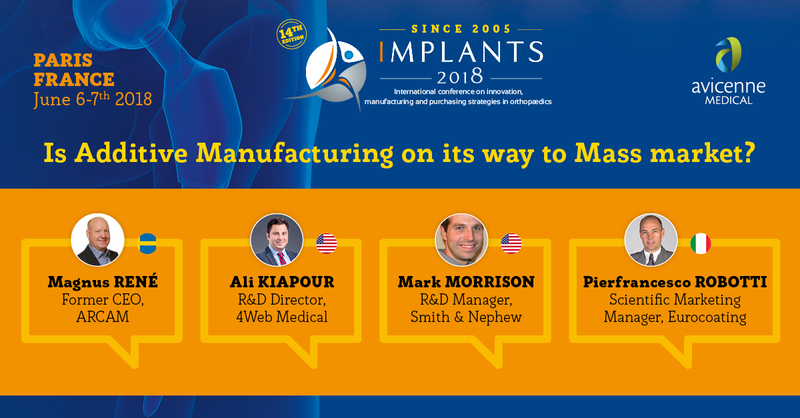 Read the interview of Mark Morrison, Manager, Materials Research and Tribology, at Smith & Nephew, USA. Save-the-date! 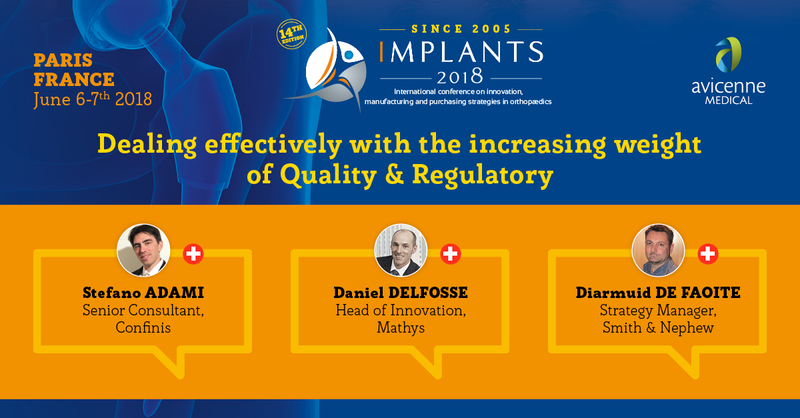 IMPLANTS Tutorials 2019 will be held on Wed. March 13, 2019, at Treasure Island Las Vegas, during the AAOS 2019 Annual Meeting.